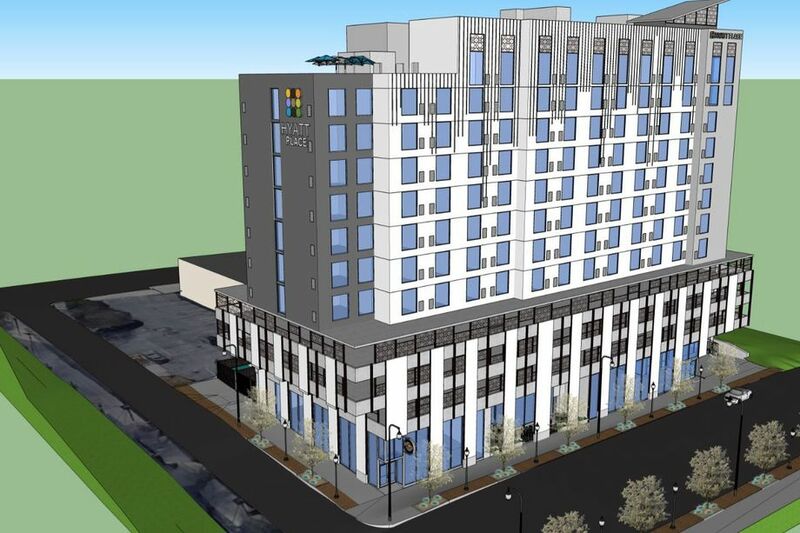 Plans call for Hyatt Place Centennial Park to offer 174 rooms on Luckie Street. The explosion of hotel options around the Georgia Aquarium continues. 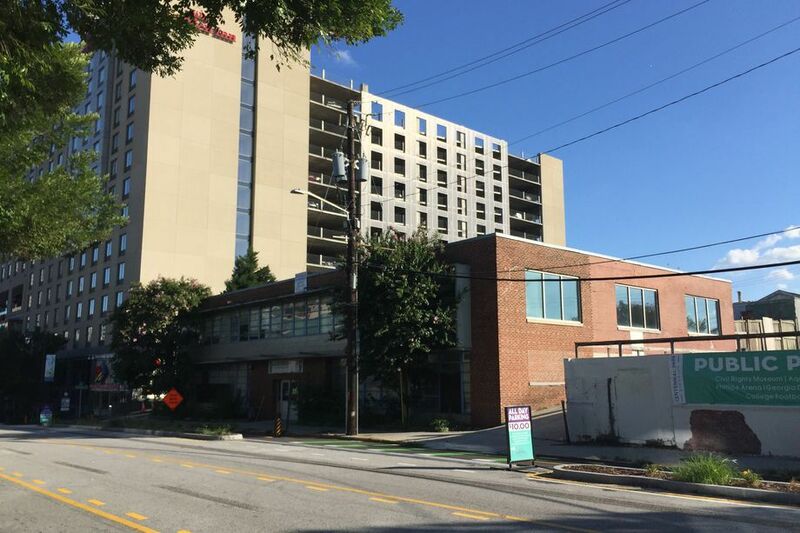 A joint venture between Atlanta-based developer Songy Highroads and Hyatt Hotels has completed demolition phases and is now angling to go vertical a dozen stories over Luckie Street with downtown’s latest lodge. 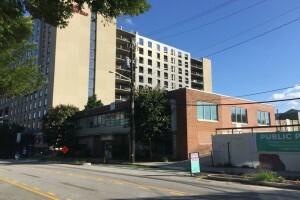 At the corner of Luckie and Latimer streets, facing the Georgia Aquarium, developers have filed a permit application to begin construction on the first components of Hyatt Place Centennial Park, reports What Now Atlanta. In announcing the hotel in November, the partnership touted proximity to the “city’s best galleries, restaurants, and attractions,” most notably Centennial Olympic Park and its ongoing, $17-million expansion. A two-story midcentury building, which most recently served as a school, had occupied the .76-acre site but was demolished. The hotel’s footprint also includes a former parking lot. Plans call for Hyatt Place Centennial Park to offer 174 rooms, a pool, parking deck, fitness center, lobby bar with food service, and about 2,500 square feet of meeting space. It won’t be the only new lodging option in the immediate neighborhood. A Hyatt House was built a block away a few years ago, and on the other side of the aquarium, construction recently finished on a Springhill Suites. But news hasn’t been all rosy for hospitality ventures in the district. Two years ago, a large dual-branded Hilton property was slated for a site a block from the proposed Hyatt Place (facing STATS restaurant) but was ultimately put on hold.